Gallery: Mike's Box o'Prints Album: "Hagerstown 2"
Description : Rear of one of the the troposcatter reflectors and four hardened microwave antennas can be seen on the right. 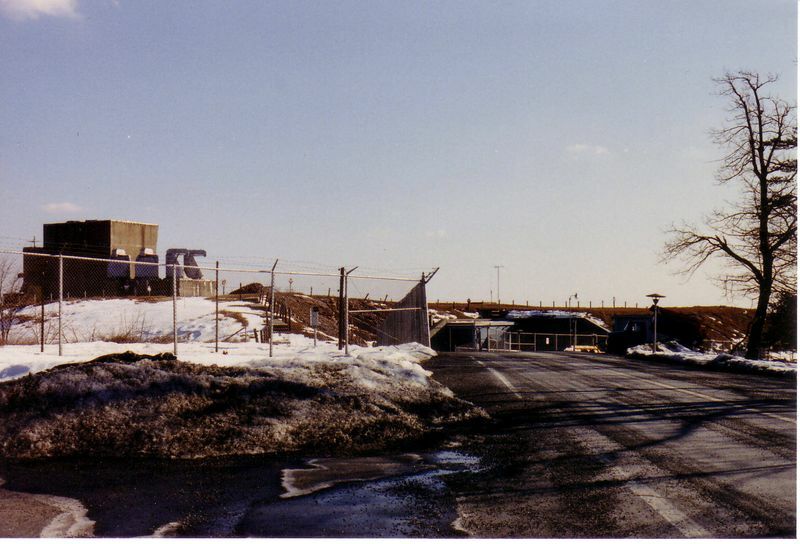 The personnel entrance (under the canopy) and the north end of the drive-through area are in the center of the photo. This area today is blocked by a pop-up vehicle barrier.